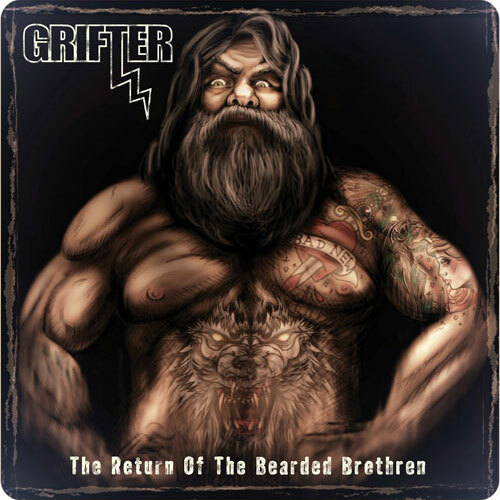 The big, bad biker boogie rock of Grifter returns with the long awaited follow up to their 2011 self-titled debut! The Return Of The Bearded Brethren shows the British trio carrying on in their bluesy 70’s inspired way, unveiling greater dimensions to their whiskey soaked barroom rock stylings and showing off a bit more of the musical muscle that made their debut a hit album. The bands sophomore release also reunites the trio with producer Rich Robinson, who captured their sleaze rock essence on the bands debut album. Mastered by T Dallas Reed for HeavyHead.